The oil control valve basically does what the name suggests. Inside every internal combustion engine, there is an oil control valve which manages the flow of oil. It uses variable valve technology to redirect the oil flow so that it reaches the camshaft. In addition, the oil control valve allows the moving components of the engine to stay lubricated and cooled down. If your oil control valve stays fully function, your vehicle will enjoy a plethora of advantages like producing fewer carbon emissions, enhancing the engine performance, and consuming more fuel. The engine control unit is in constant communication with the oil control valve. A lot of mechanics refers to this valve as the engine oil solenoid valve, but it is the same thing. Since the performance demands of the engine are frequently changing, the engine control unit determines how much oil will be let through the valve so that it can reach the camshaft and satisfy these demands. It is crucial for the oil control valve to stay fully function if the engine is going to stay functional and perform to the best of its ability. 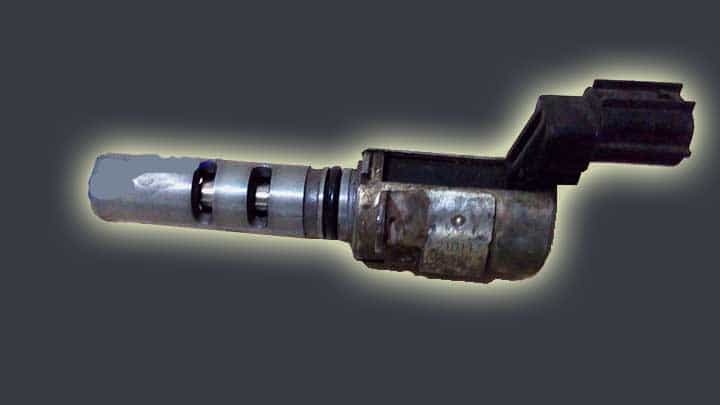 If there were ever any problems with the oil control valve, then it would cause problems with lubricating the camshaft and the various moving components of the engine. This will result in all kinds of problems which no driver will want to face. When your oil control valve starts to go bad or becomes faulty or malfunctions, then certain symptoms will pop up that won’t be hard to miss. You need to understand and recognize these symptoms for what they are so that you can do something to resolve these issues. That means replacing the oil control valve with a new one. Below are the top 5 symptoms of a bad oil control valve which you need to watch for. 1) Weak Acceleration – When you don’t have a steady flow of oil lubricating the components of the engine because of a faulty oil control valve, then it will slow down the operation of the engine. This will cause acceleration problems with your vehicle as you place more demand on the engine to produce additional power. The engine simply won’t have the ability to keep up with the demand, resulting in a lack of acceleration power each time you step on the gas pedal. You may be able to get your speed up to 40 miles per hour, but it won’t go any higher. 2) Bad Fuel Economy – The oil control valve is constantly opening and closing to allow oil through and to prevent oil from coming through. The specific timing of this opening and closing function is controlled by the engine control unit. The unit tries to increase the engine performance as much as possible by managing the timing of the oil control valve appropriately. This reduces fuel consumption and helps drivers get more mileage out of their vehicles. However, if you have a bad oil control valve, then the timing of the opening and closing is going to be off. This will result in a reduced fuel economy and lower fuel efficiency. 3) Rough Idle – When the RPM of your engine increases, this means more demand is being placed on it. The oil control valve will activate as this happens. This demand does not just mean that you’re accelerating the vehicle and going faster. It could also mean that you’re putting more of a load on the vehicle or you’re trying to drive uphill. If you have a non functioning oil control valve as this is going on, then your engine might experience a rough idling situation. This will happen when you stop or park your vehicle and the RPM rate fluctuates drastically. 4) Check Engine Warning Light – The Check Engine warning light will likely illuminate in the event of a bad oil control valve. Since the functionality of this valve has a direct impact on the engine’s performance, it is only natural that the Check Engine warning light would come on if there was a problem with the valve. Of course, this warning could mean a lot of other things too. But if you are experiencing these other symptoms along with the warning light being on, then it is likely due to the oil control valve. 5) Overheated Engine – A faulty oil control valve might prevent enough oil from reaching your engine’s components. Since your engine has a lot of moving components that rub together and create friction, this could cause the engine to overheat if these components are not lubricated thoroughly enough. You should replace your oil control valve as soon as you notice it has problems. On average, the replacement cost of an oil control valve is anywhere from $300 to $400. The cost of the parts is around $150 to $200, while the cost of the labor is about the same, $150 to $200. There will be extra fees and taxes added to these amounts too. In most cases, you will be paying less than $500 unless you have some kind of sports car or luxury vehicle. You might be able to get a cheaper rate on the labor if you can find an auto mechanic who has a low hourly rate. This would probably need to be a small auto shop which doesn’t charge inflated prices as the big commercial dealerships do.